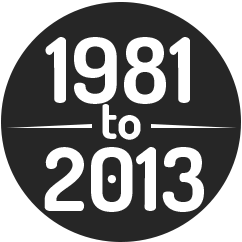 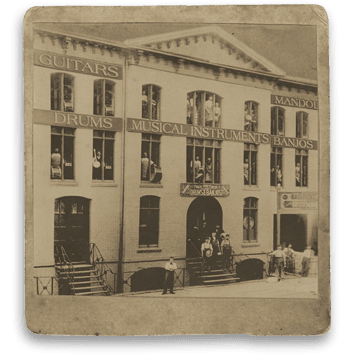 Gretsch celebrates its 135th year in business! 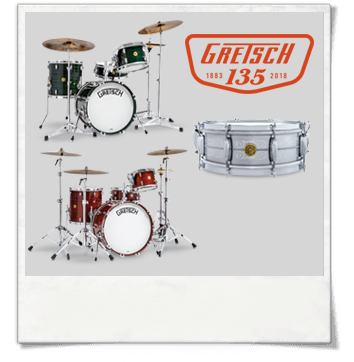 To mark this milestone, we proudly present the Limited Edition Gretsch 135th Anniversary drum set and commemorative snare drum. 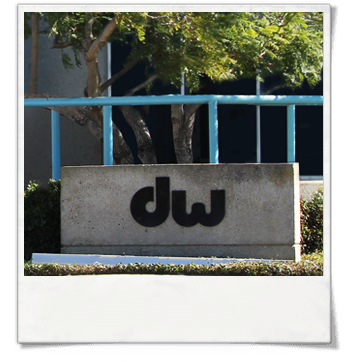 The iconic American drum maker Drum Workshop (DW Drums) acquires the rights to develop, produce, market and distribute Gretsch Drums from Fender. 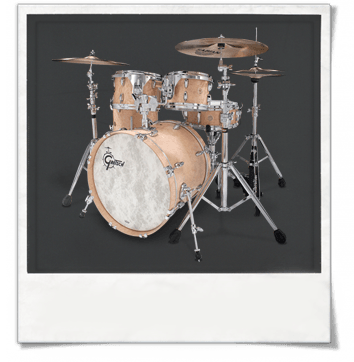 Gretsch introduces the modern-day version of the USA-made Broadkaster Series. 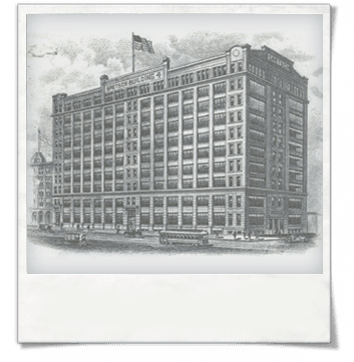 The shell's design is nearly identical to the original and the results are nothing short of spectacular. 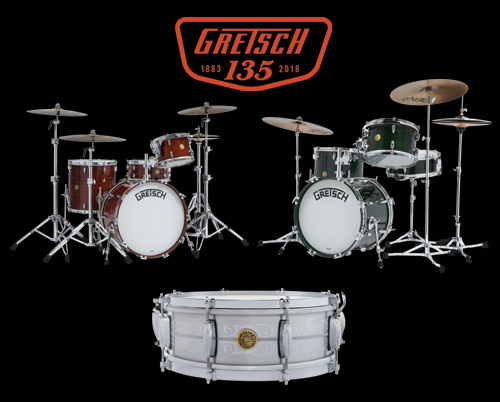 Gretsch celebrates its 130th anniversary with USA-made limited edition drum sets and the original Gretsch Round Badge makes its return. 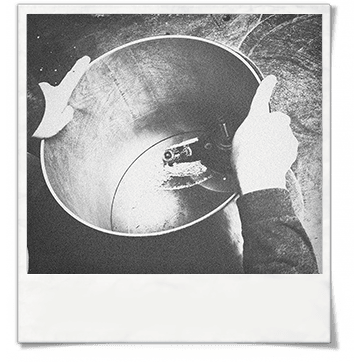 The USA-made Brooklyn Series is introduced. 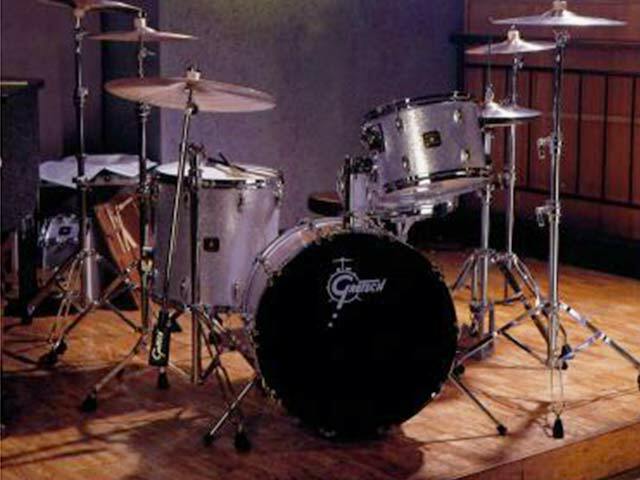 Gretsch celebrates its 125th Anniversary by releasing a limited edition drum set. 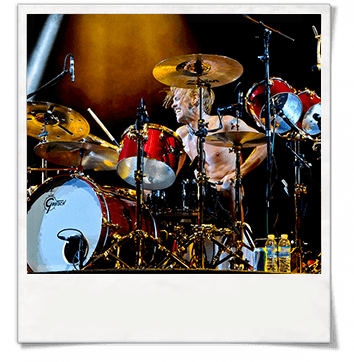 Foo Fighters drummer Taylor Hawkins becomes a member of the Gretsch Artist Roster. 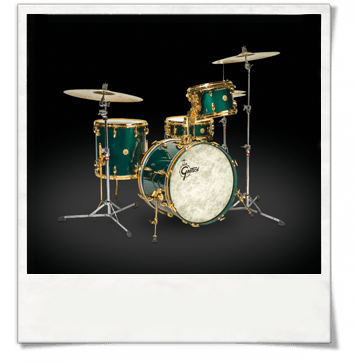 Gretsch introduces the Steve Ferrone Signature Drum Set, a USA-made maple kit finished in 1955 Cadillac Green. 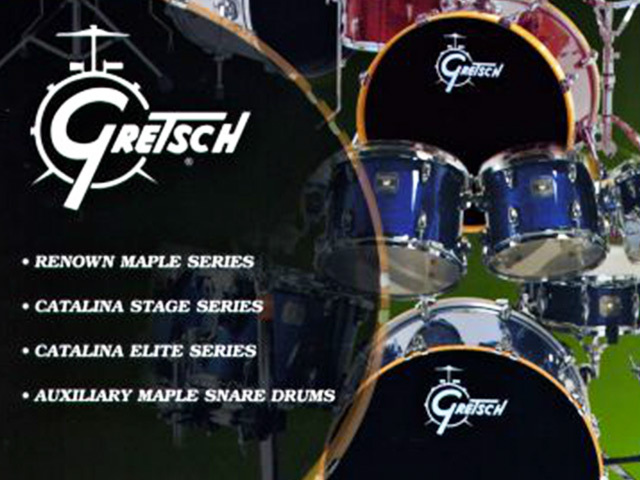 Kaman Music (KMC Music) becomes the exclusive, worldwide distributor of Gretsch Drums. 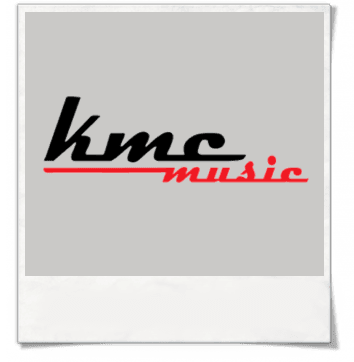 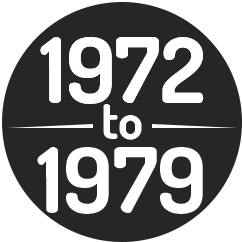 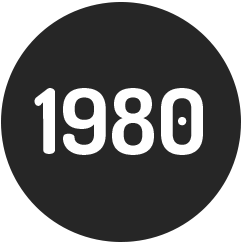 Two years later, KMC is acquired by Fender Musical Instruments along with the rights to develop, produce, market and distribute Gretsch Drums and Guitars. 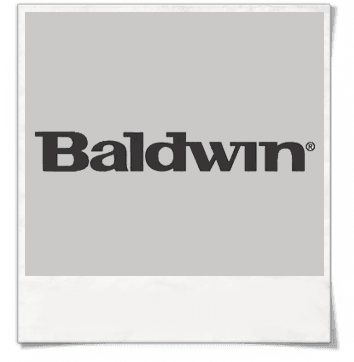 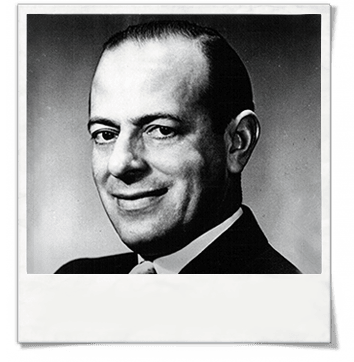 Eighteen years after the company was sold to Baldwin, Fred W. Gretsch, great-grandson of the company founder, fulfills his promise to buy the company back and return it to the family fold. 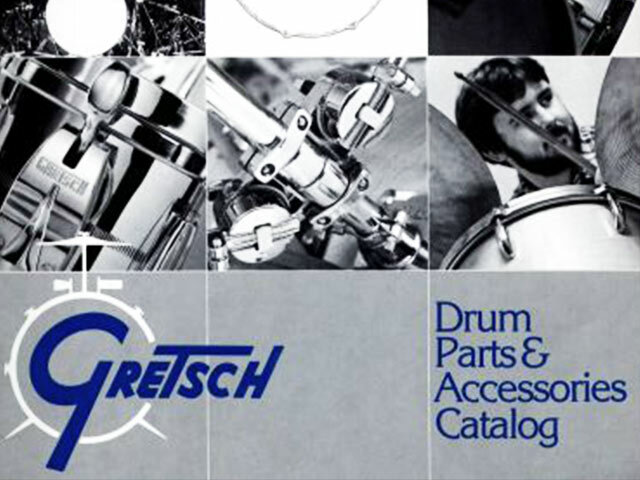 Gretsch establishes drum manufacturing center in Ridgeland, S.C. 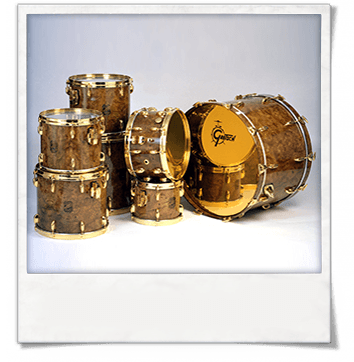 In celebration of a century of drum making, Gretsch releases a very special limited edition birdseye maple drum set. 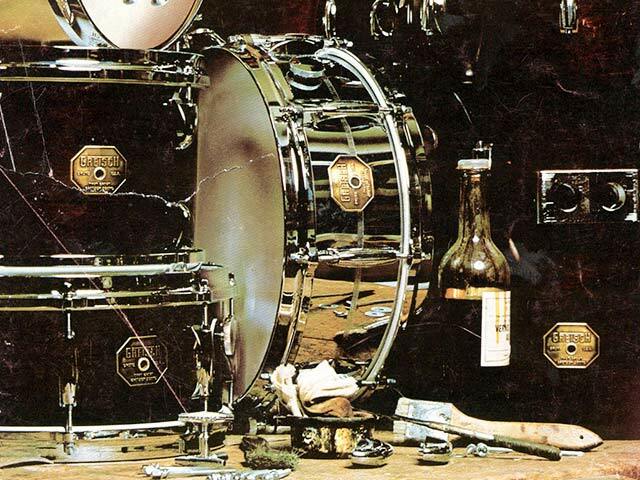 Gretsch Artist Phil Collins joins the prog-rock band Genesis and begins a long and very successful career, reaching multi-platinum status with both the band and as a solo artist. 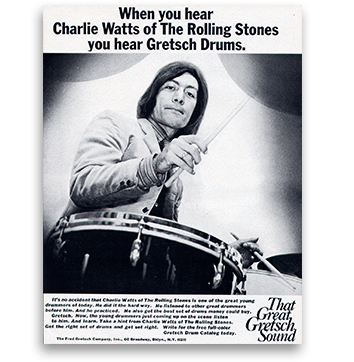 The Rolling Stones tour the United States with drummer Charlie Watts playing Gretsch Drums. 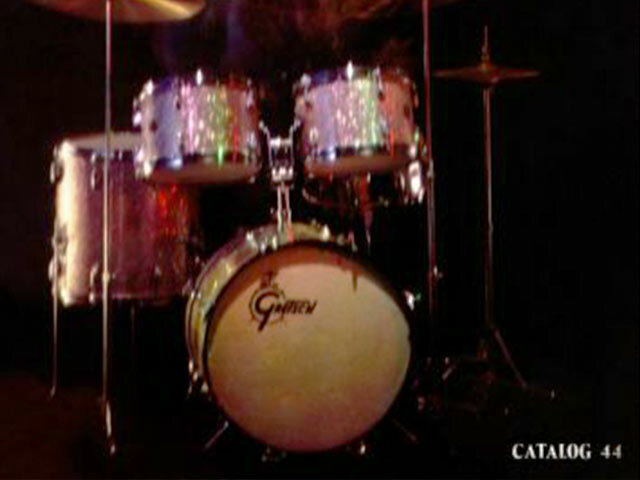 Over 50 years later, Watts still plays Gretsch with the Stones. 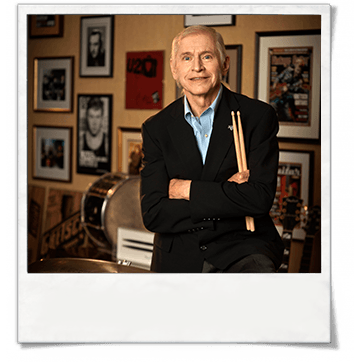 Fred Gretsch, Jr. retires and sells The Gretsch Company to Baldwin Music Company. 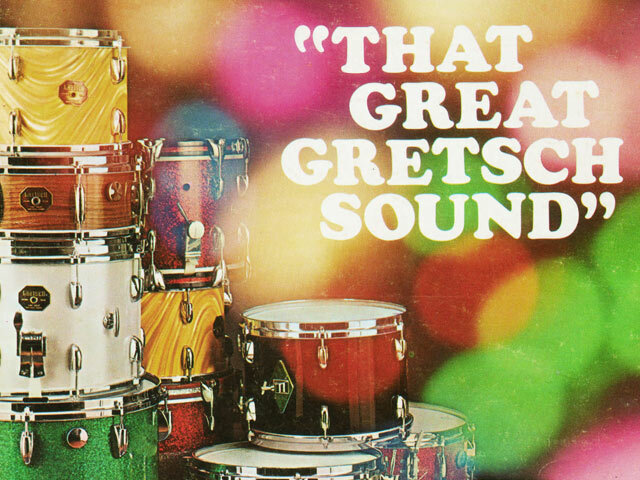 His nephew, Fred W. Gretsch, vows to buy the company back. 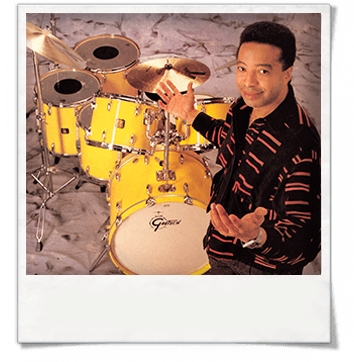 The remarkable Tony Williams is officially added to an already illustrious Gretsch Artist Roster. 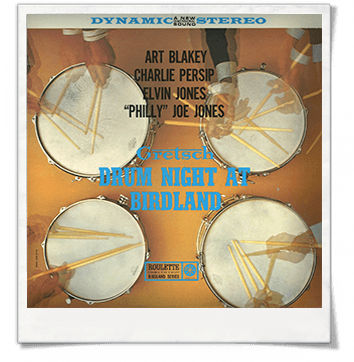 "Gretsch Drum Night at Birdland" is recorded by four lengendary Gretsch drummers: Art Blakey, Charlie Persip, Elvin Jones and "Philly" Joe Jones. 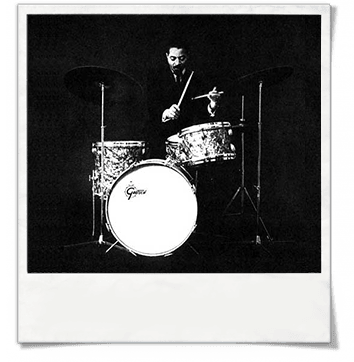 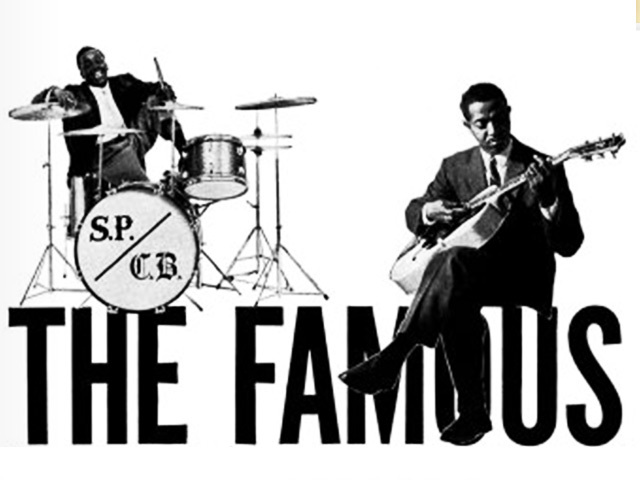 Gretsch artist Jimmy Cobb records "Kind of Blue" with Miles Davis. 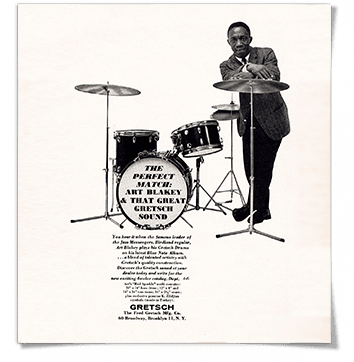 Legendary jazz drummer Art Blakey is added to the Gretsch Artist Roster. 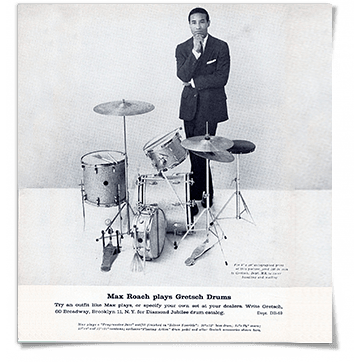 As Be-Bop makes it's rise in popularity, the uncomparable Max Roach is officially introduced as a Gretsch Artist. 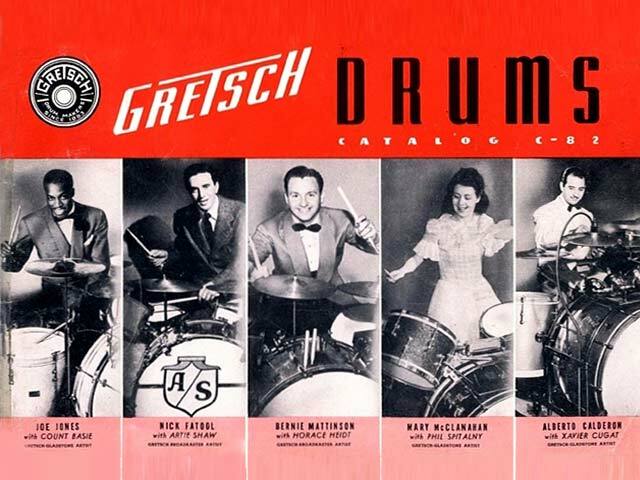 Bill Gretsch dies from illness. 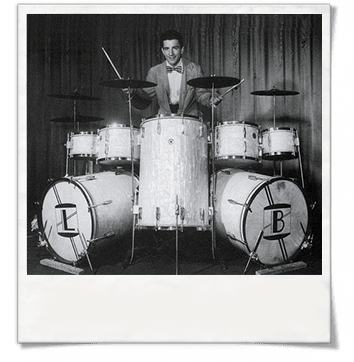 Fred Gretsch, Jr. assumes control of the business, kicking off a new age of prosperity for the company–the age of rock ‘n’ roll. 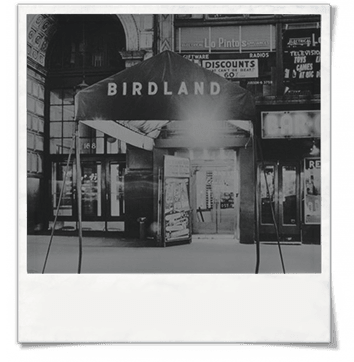 Gretsch forges a relationship with the legendary Birdland Jazz Club in New York, N.Y. 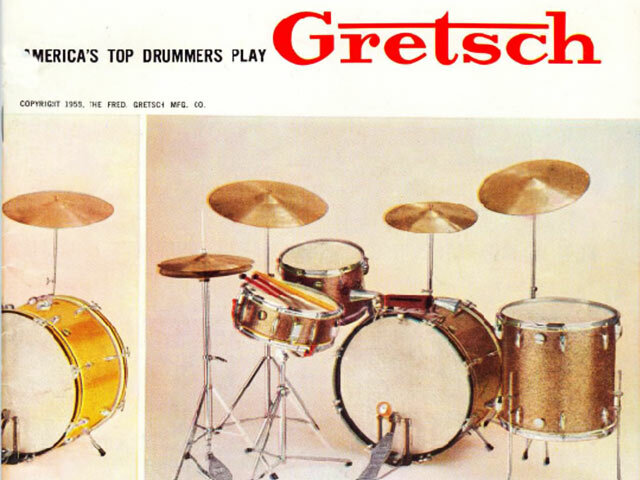 Following the war, Gretsch resumes instrument production. 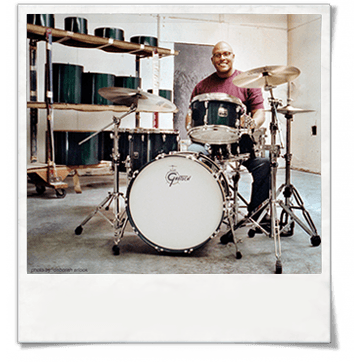 Phil Grant, master percussionist and innovator, joins Gretsch. 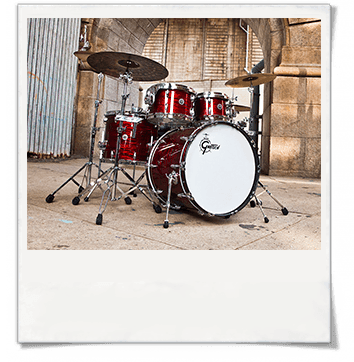 Gretsch and Louis Bellson team up to introduce first production double bass drum kit. 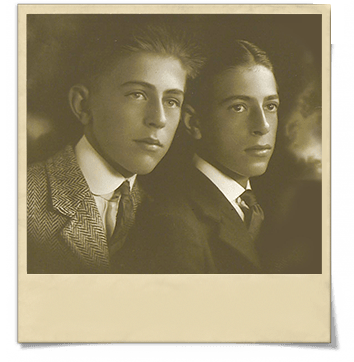 Fred Gretsch, Sr. retires from the company, leaving the day-to-day operations to his sons, Fred Gretsch, Jr. (left) and William “Bill” Gretsch (right), both of whom had been active in the business since 1927. 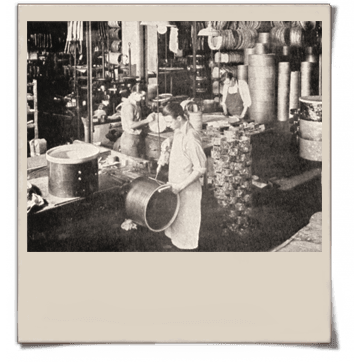 Gretsch stops instrument production to assist in war efforts. 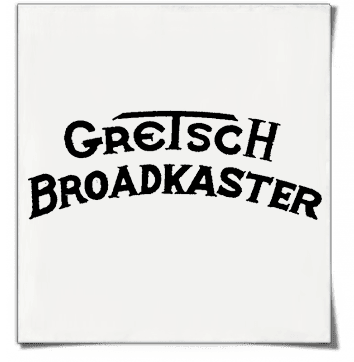 After a brief term at the company’s helm, Fred Gretsch, Jr. leaves the company to serve as a commander in the U.S. Navy. 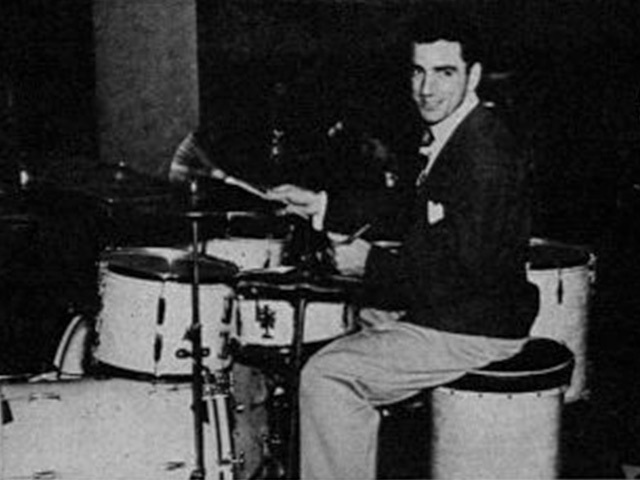 Bill Gretsch becomes president. 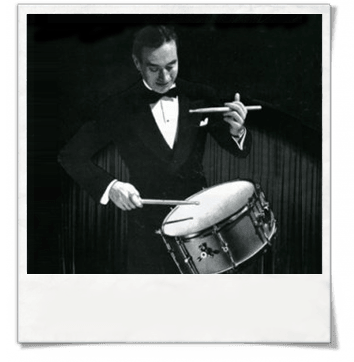 Gretsch enters an historic partnership with master drummer and inventor Billy Gladstone. 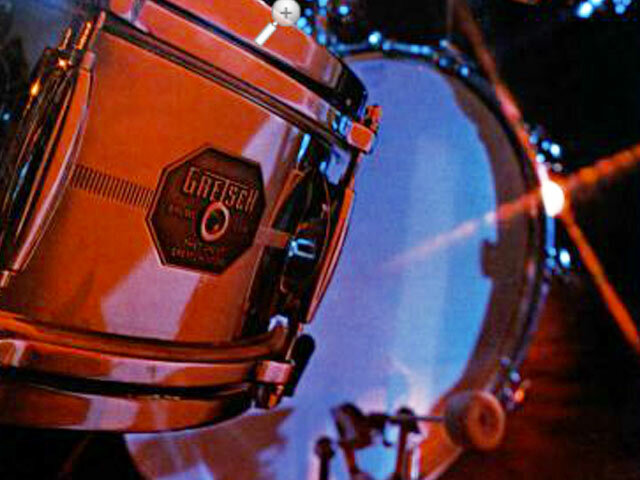 The Gretsch-Gladstone drum line is introduced. 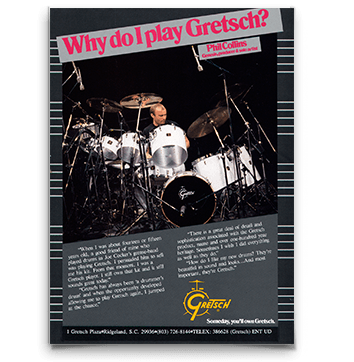 Gretsch introduces the original Broadkaster series, which eventually grows into one of the world's most revered drum sets of all-time. 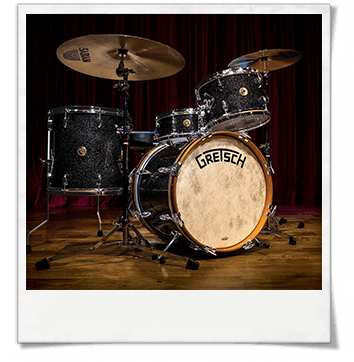 Company introduces historic Gretsch-American drum series, featuring the industry’s first multi-ply drum shell. 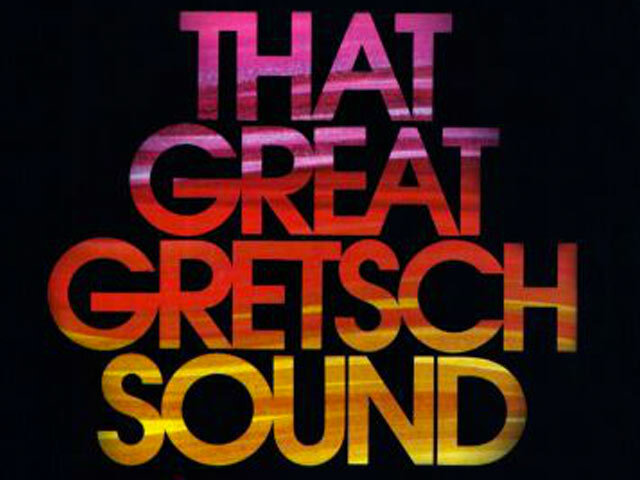 Gretsch was recognized as the largest musical instrument manufacturer in the United States. 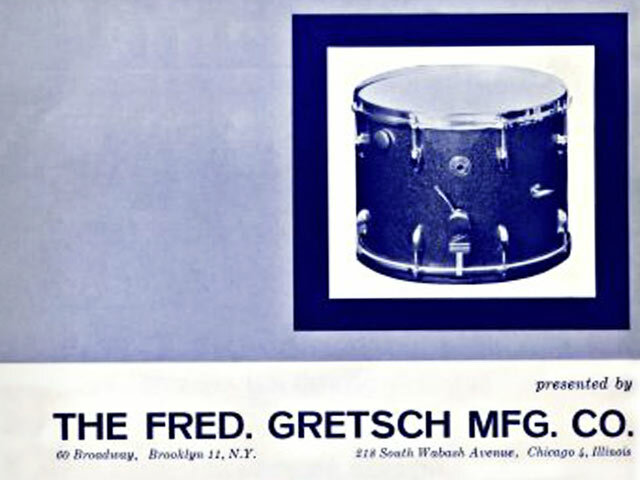 Fred Gretsch, Sr. develops revolutionary multi-ply drum lamination process resulting in the world’s first “warp free” drum hoop. 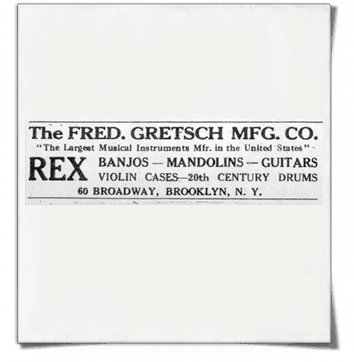 The company moves to a 10-story building at 60 Broadway in Brooklyn, N.Y.
Friedrich Gretsch, 27, who emigrated from Germany at 16, opens a small music shop in Brooklyn, N.Y., making banjos, drums and tambourines. 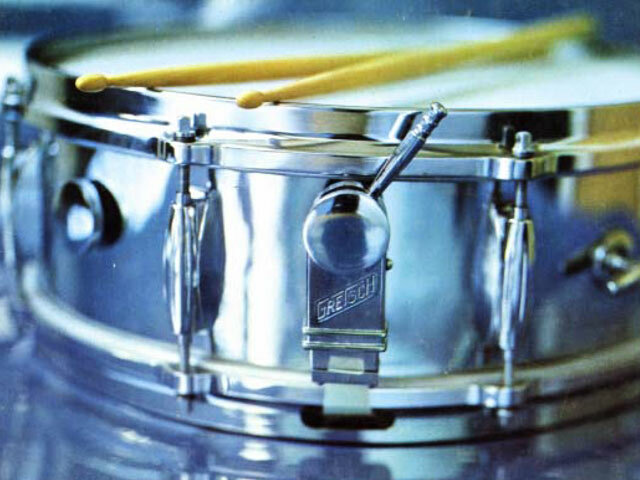 Even though "That Great Gretsch Sound" hasn’t changed over the years, Gretsch Drums have featured a variety of iconic badge designs. 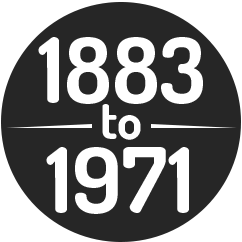 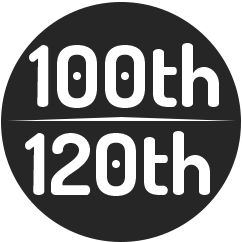 Each badge is unique and in its own way has become a classic over time. 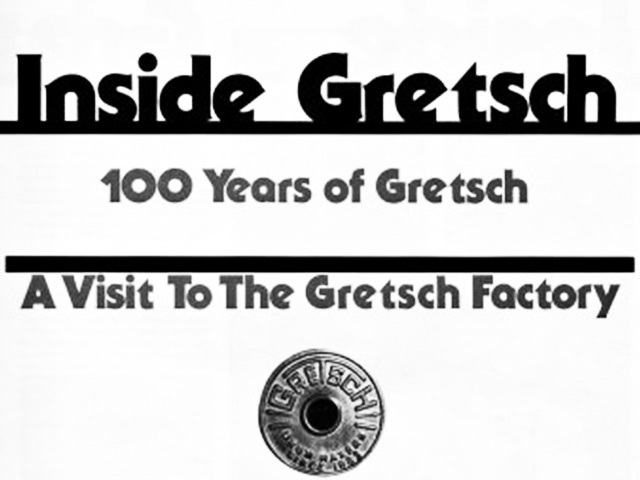 Here is an overview of the badges used on Gretsch Drums throughout the company’s history. 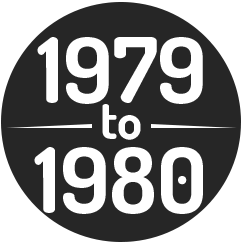 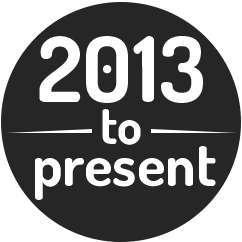 Learn more about the iconic badges for each era. 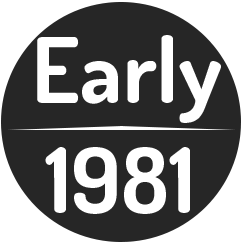 All e-books require flash player. 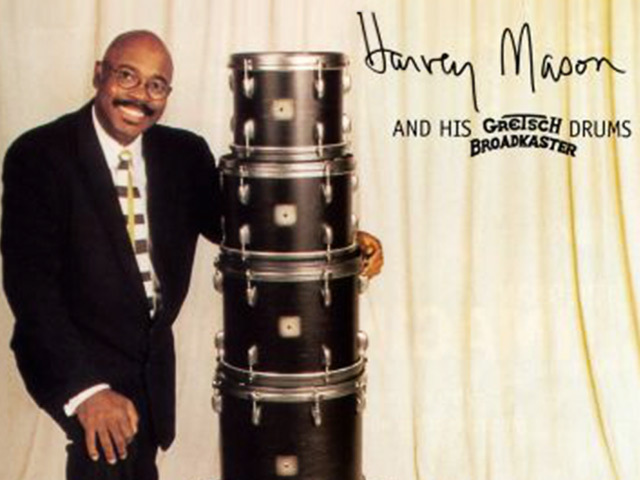 "FINEST DRUMS I EVER OWNED"